As the name suggests Central India covers those Indian states that are strategically placed in the centre of the country. A land of diversity these states take pride in their green environs, wildlife, heritage sites, ancient temples and tribes. These states have been well visited by tourists interested in Indian heritage, Temple Architecture, Indian Wild Life and Buddhism. 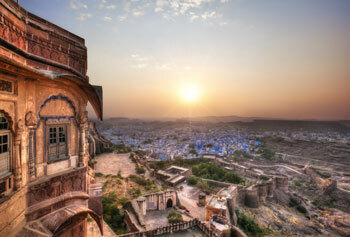 If you have never experienced this colour of India, it’s time for you to plan an excursion to those amazing sights and experience the incredible to create memories for life. Popularly known as the Heart of India, Madhya Pradesh is an amazing land with rich heritage. Khajuraho Temples, Bhimbetka Caves, Orchha fort and remains of the dynasty, Buddhist monuments at Sanchi, Gwalior Fort and Bhartrihari Caves have always interested tourists. Along with these ancient remains, temples & caves, Madhya Pradesh itself has 09 National Parks, some of which are Bandhavgarh National Park, Kanha National Park, Mandla Plant Fossils National Park, Panna National Park and Pench National Park. Fringed by culturally different states such as Maharashtra, Chhattisgarh, Rajasthan, Gujarat and Uttar Pradesh, Madhya Pradesh is a worth visiting destination. Chhattisgarh, termed as “the forest land” is the other state in central India. Unique cultural heritage and amazingly gorgeous natural landscapes is the highlight of this place. The world known Khajuraho temples, the rugged forts at Gwalior, the Stupas of Sanchi and the archaeological sites of Chhattisgarh have been attracting travellers from around the globe. 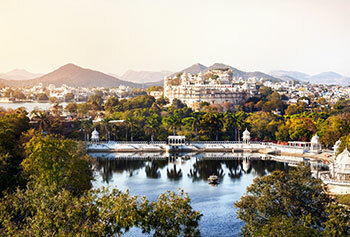 Scenic plateaus, spectacular waterfalls, rich wildlife and deep rooted tribal communities of the central India make it a magnetic destination to lure travellers. North East India is a least explored, most mysterious and arguably the most beautiful region of India. It shares its border with four neighbouring countries China, Myanmar, Bangladesh and Bhutan and it is the only gateway to Bhutan. North East also referred as the ‘Seven Sister States’ referring the states named Arunachal Pradesh, Assam, Manipur, Meghalaya, Mizoram, Nagaland and Tripura. India’s seven well known national parks are found here named as Kaziranga, Manas, Uran & Pobitora in Assam; Namdapha in Arunachal Pradesh; Sipajijola in Tripura, Keibul Lamjao in Manipur and the World famous one horn rhino is found here. Green lush mountain ranges intermingled with magnificent dense forests, passing through Buddhist stupas and monasteries, windy roads, glacial lakes, and a climate to die for. The North East will surely take your breath away, and keep you coming back for more. "Thank You Max Holidays for enabling my life experience a new place with amazing people living there. The Central regions of India carry an exotic positive aura along with them. Madhya Pradesh also known as the heart of India has a variety of tourist attractions and I am really attracted towards the city. Max has been a great companion"
"The temples of Khajuraho carry a unique beauty with them. I am really interested in wildlife and nature, thus visiting the National Parks in the Central India undoubtedly proved to be a true delight for me. The astonishing views of the place & getting up close with the nature made me feel wow. Max helped me a lot. It’s great." "I loved the food of Central India. Starting right from its culture, cuisine to its trade and tradition, I was awestruck by each and every bit of this place and moments I spent there. India is really a beautiful place and my aunt is in love with this place. She visited here with me and didn’t want to go back. "